Comments Off on Action Pow Wow! Its comic day! We talk Avengers Assemble cartoon, New Man of Steel trailer and Nelson “The Voice” joins us to continue the party. Comments Off on Almost Legit? Talks with us about COE as we try harder to be LEGIT. Creator – Owned Expo is designed not only to be loads of fun, but to encourage Literacy, Artistic Creativity, innovations in Technology, and Social Interest in the sciences through Art, Sequential Art, Science fiction, Fantasy, Novels, Creative Nonfiction, Folklore, Historical Fiction, Mythology and other related genres. This event promotes Independence in the areas of creative media, comics, art, crafts, animation, and self-published literature. We are a close knit ecosystem, a community built to encourage communication between the creators and the audience. Ultimately, “this event is about comic creators, creators in general and the fans who love them.” The event will feature fun filled educational panels, raffles, gifts, prizes, an artist exhibit area, and contest. Admission is ONLY $5.00 for an Entire Day of FUN! 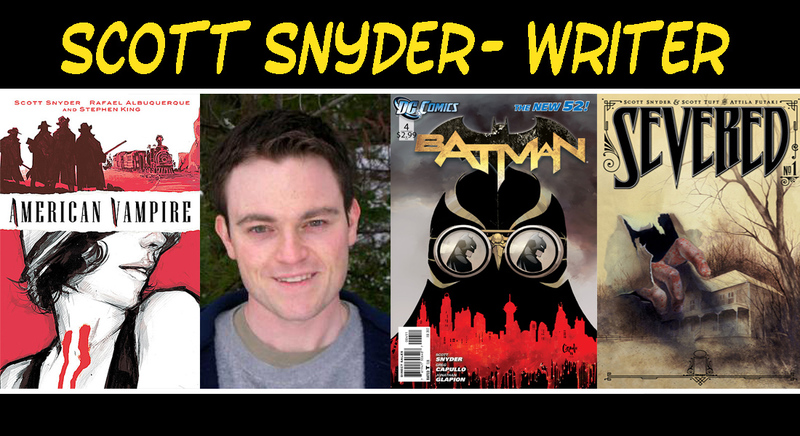 A POW WOW SHOW: INSTANT REPLAY— OMG…All star writer, Scott Snyder (Batman, American Vampire) calls in to give us a geekgasm, we gave away 2 FREE tickets to MegaCon and Aaron spills his #Mindpickd Top 10 Comics of the week. Our thoughts on Iron Man 3, Bang app and Top Mindtrickd.com comics of the week. Thank you all for supporting the show. We are FREE as long as you tell a friend and support our sponsors. Thank you. Journey into Mystery cover artist and South Florida native Jeff Dekal hangs out on the show to talk about breaking into comics and we crap all over Iron Man 3. Thank you for your time, Jeff. Come back anytime. LIVE from Tate’s Comics and Games its Free Comic Book Day! We had a blast broadcasting from the biggest and greatest comic shop in South Florida, Tate’s. Thank you for giving us this great honor, we truly appreciate you and your whole staff for the great attention and hospitality. Thank you Joe Daddy, Kevin the Pirate Jew, Producer Mikey and Colleen of Comic Fusion Decor for a great show. Mimobots won were courtesy of http://www.mimoco.com/ Thank you for your support. Big thanks to all who showed up to support this great event. Lets do it again next year! Superior colorist and Pow Wow Award nominee Edgar Delgado (@delgaduck) stops by to talk about his career in comics, working with great artists like Humberto Ramos and gives us some coloring tips and techniques. Thank you, Edgar. We will be LIVE from Tate’s Comics on Saturday, May the 4th be with you on FREE COMIC BOOK DAY. Come on by and spin The Pow Wow Prize Wheel for some FREE stuff from the bucket o’prizes and enter for a chance to win a Mimobot flash drive (Star Wars or Transformers) courtesy of Mimoco.com We will be broadcasting LIVE 12-2PM est. Come say Hi!